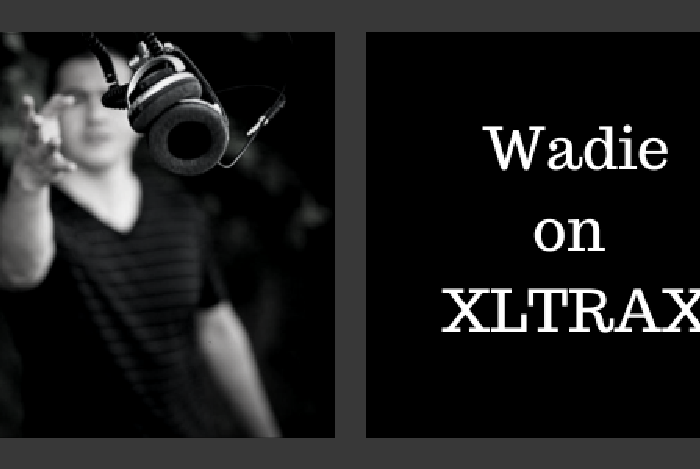 Wadie Maroudi is back on XL TRAX every Friday from 3 to 4 PM EST with the best of what House Music has to offer. Here is a what Wadie on XLTRAX has been up to lately. XLTRAX: Who is Wadie Maroudi? WM: I am a DJ and music producer. I loved music since I can remember. There literally hasn't been a day in my life where I haven't thought about mixing or making music. I am a young professional, a father, a husband, and a son. I had to take a break from the public to focus on my family and raising my daughter, but I'm back now, and back for good! XLTRAX: When did this passion start? WM: I was approached to DJ a party at 16 just because I loved music and I had every single song you can think of, and everybody around me knew it. I DJ'ed using cassette tapes and records. Putting a smile on people's faces, and seeing them dancing their butts off on the dance floor puts a huge smile on my face and made me realize that's what I want to do for the rest of my life. I've been DJ'ing since, either in my bedroom, radio stations, or in public. And I'm not planning to stop any time soon! 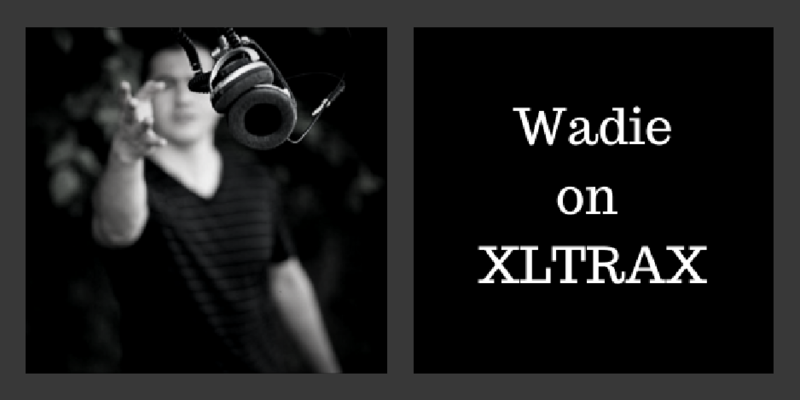 XLTRAX: Why focus on your music now? WM: Music for a long time took a secondary part of my life. I focused on studying, becoming a young professional, raising my family and my daughter. Once I had my professional life in control I felt the need to accomplish what I've always wanted to accomplish, which is making my music heard around the world. XLTRAX: What made you come out of the underground? WM: I get this question a lot. I spent the majority of my life as a musician focused on the underground sounds, rough beats, deep sounds which I still love, but as a mature artist I now understand that I limited myself to a very restricted audience; which is not my intension; As I really want my music to be heard around the globe. The underground never got anybody anywhere and never will. XLTRAX: So what is the correct spelling is it "Wadie" or "Wadii"
WM: Giggles... Wadii is how my name is written on my driver's license, but I thought my entire life that my name was spelled with an "ie" at the end. My family and close friends still spell it with an "ie" and actually still do myself. XLTRAX: What style should be expected from you from now on? WM: Like I said, I really want my music to be heard everywhere. I want to bring house music out of the underground and make it available to the public. I don't want to limit myself per say, but I am really on a mission to make my beats easy on the ear, dance floor friendly, and easily accessible to whomever likes electronic music. XLTRAX: Why the switch out and back to House? WM: House music is how everything started. I mastered it at a very young age, I felt the need to be challenged as a musician which pushed me towards other styles such as drum and bass, minimal..etc. Deep inside of me I always knew that house music is where my head was. From now on, I'm going to make sure that's where I will always be. XLTRAX: What's the most difficult part of starting a new record at this point? WM: Being a young professional , it can be challenging to devote time to music. I do not want to release any kind of record, I want my music to be very unique, dance floor friendly, and easy on the ear. It takes time, patience, and lots of effort to get to that point. But I always believed if there is a will, there is a way. You should expect lots of exciting news from me in the near future. XLTRAX: What kind of music are you listening to now? WM: Everything. I truly believe that to create unique sounds, you need to have a well rounded ear. Limiting yourself to one genre in particular does not make you an inversitile artist. I'm always curious and searching for new sounds and sometimes even noises that I can turn into a catchy sound or beat. XLTRAX: Do you see yourself DJ'ing for the rest of your life? WM: Absolutely yes! DJ'ing takes my mind off of the world no matter what's going on in my life. It takes the burden off of my shoulders and takes me to a happy place that I never want to leave. XLTRAX: Who would you want to collaborate with next? WM: I am open to suggestions. As I truly believe, house music is very diverse and would really fit with any other genre. My dream is to collaborate with Alicia Keys or Pearl Jam on a unique track that brings the two worlds together. XLTRAX: What is next for Wadie Maroudi? WM: So much! I don't want to give too much away, but expect many, many track releases, tour dates, and a whole lot of collaborations.